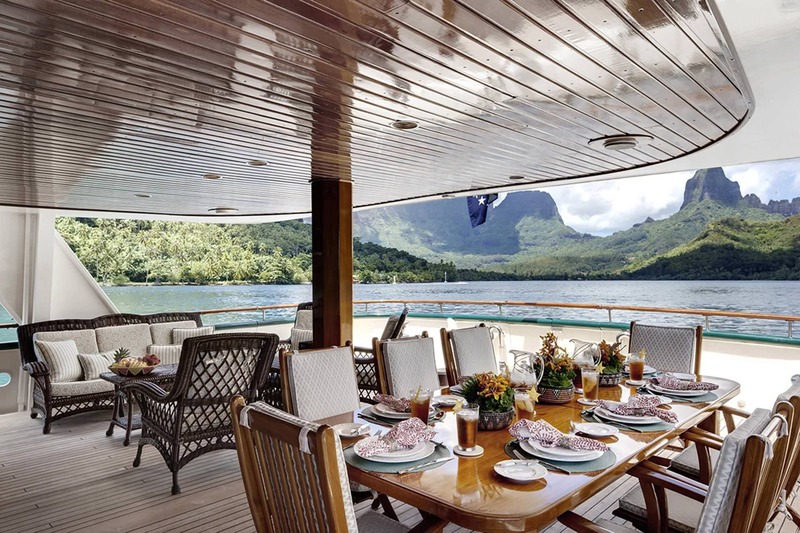 Classic luxury eplorer yacht Askari takes her name from the Swahili word meaning "guard" or "protector", Askari has explored some of the most remote corners of the world and is as equally at home in a busy port as she is at anchor off of a beautiful island beach. 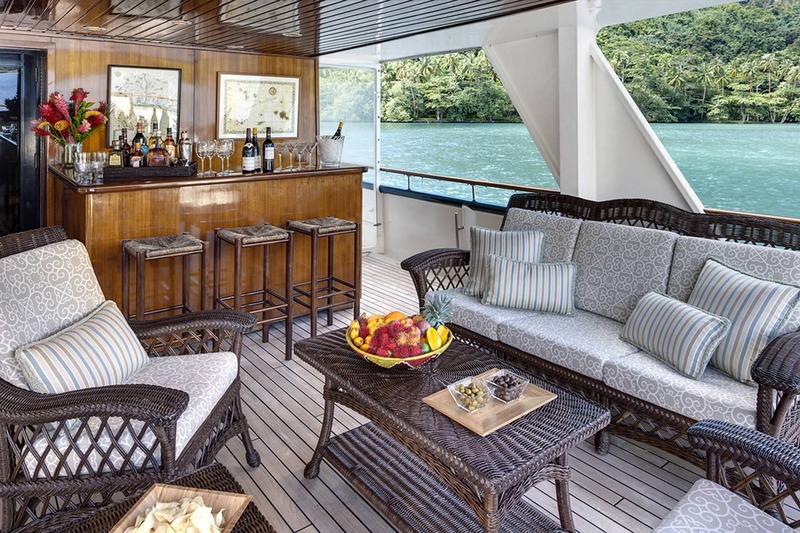 Since finishing a total refit in May of 2001 this luxury vessel has cruised from the Caribbean to the Great Lakes and back via Montreal, Quebec, Nova Scotia and Maine. 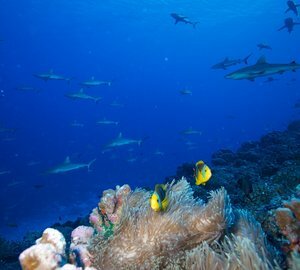 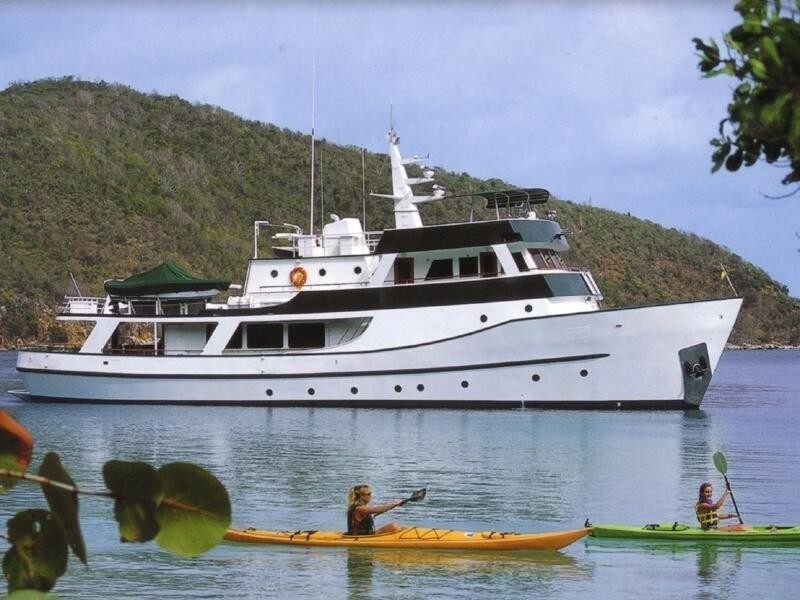 She was in the Caribbean during the winter of 2002 and in August of 2003 completed a year-long trip from Trinidad to New Zealand and Australia with countless island stops along the way. 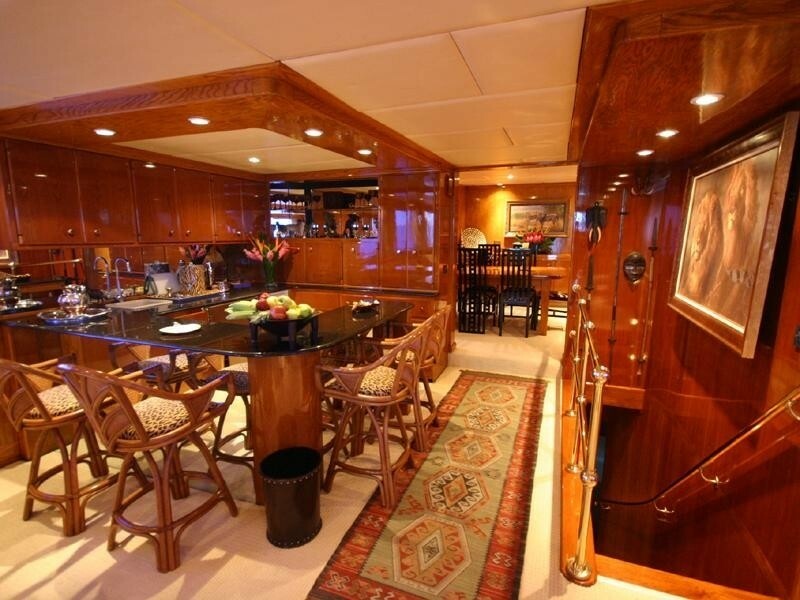 Her owners can enjoy every available pleasure from water sports and outdoor activities to sightseeing and shopping for exotic treasures. 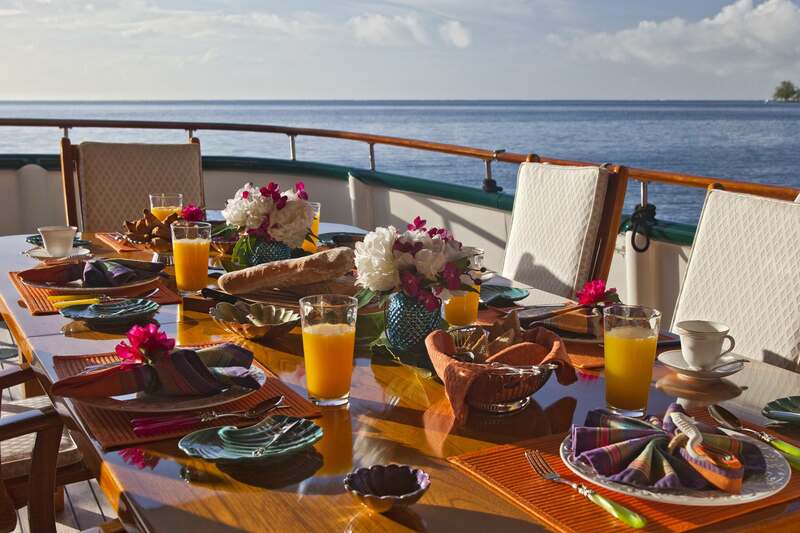 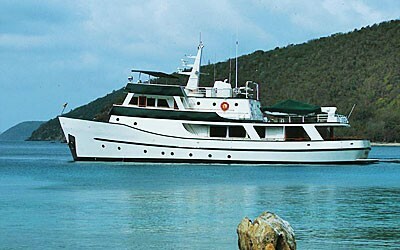 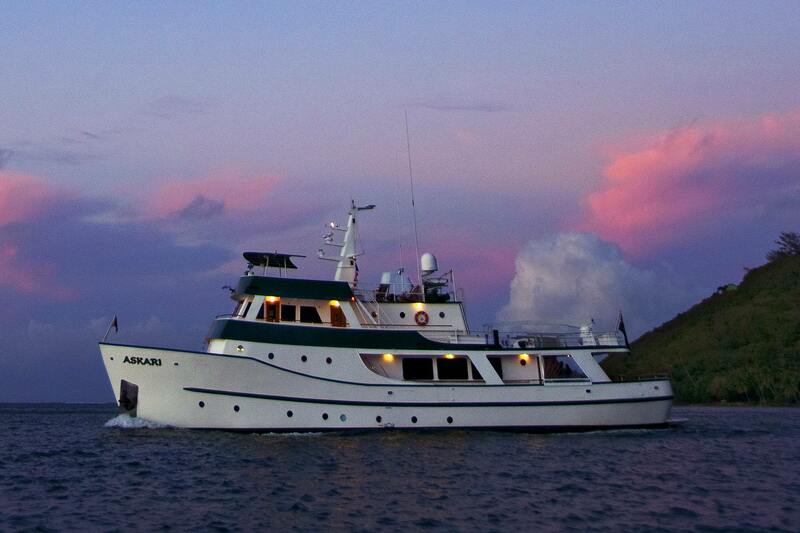 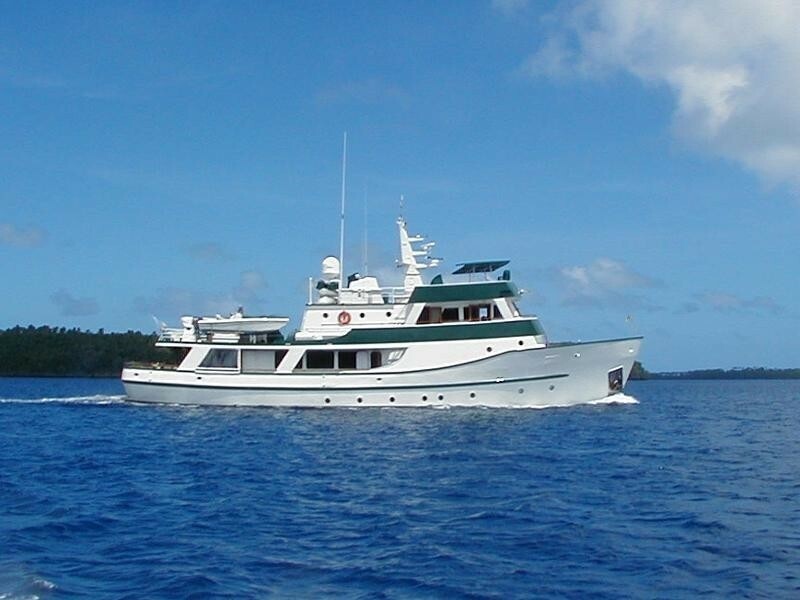 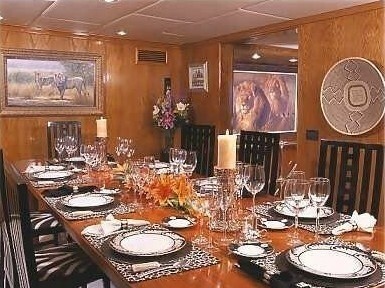 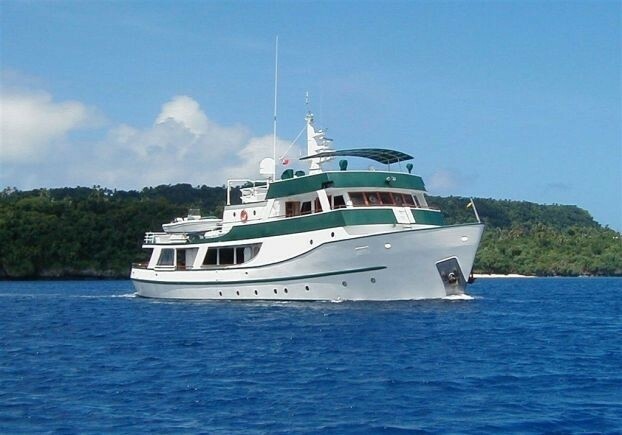 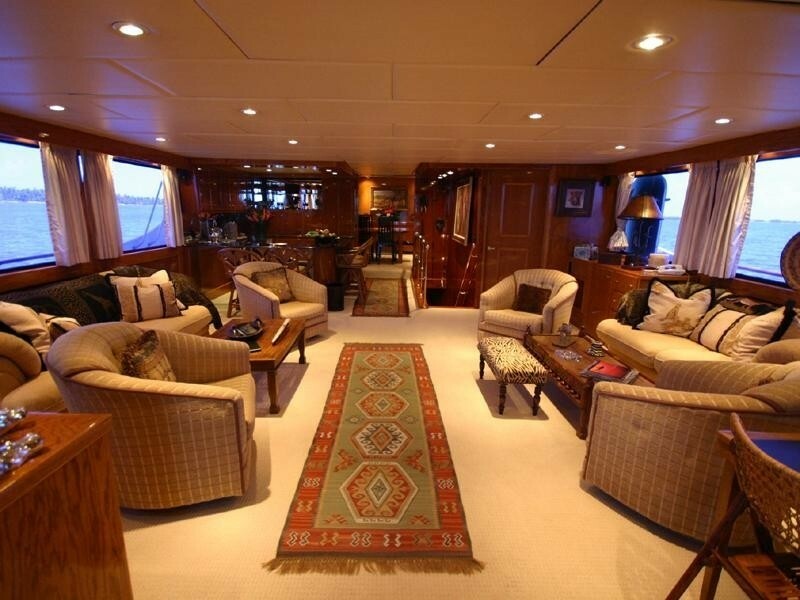 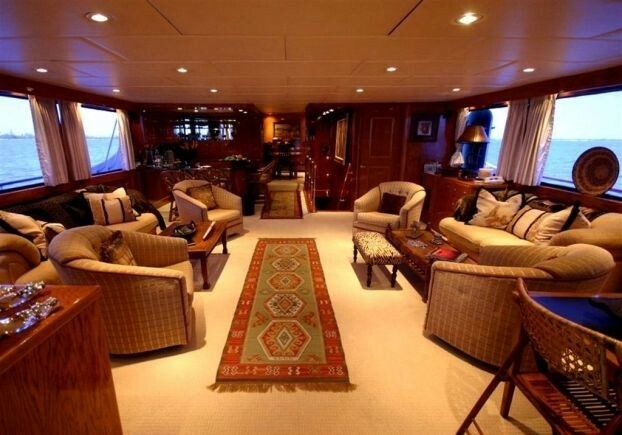 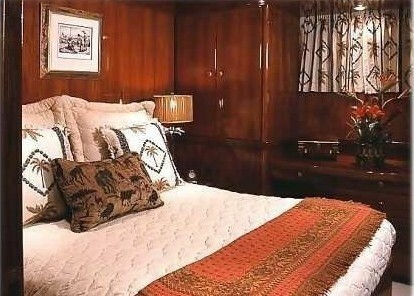 Classic yacht Askari accommodates 10 guests in 5 staterooms and all staterooms are on lower deck. 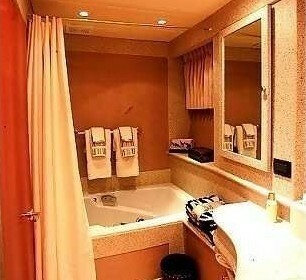 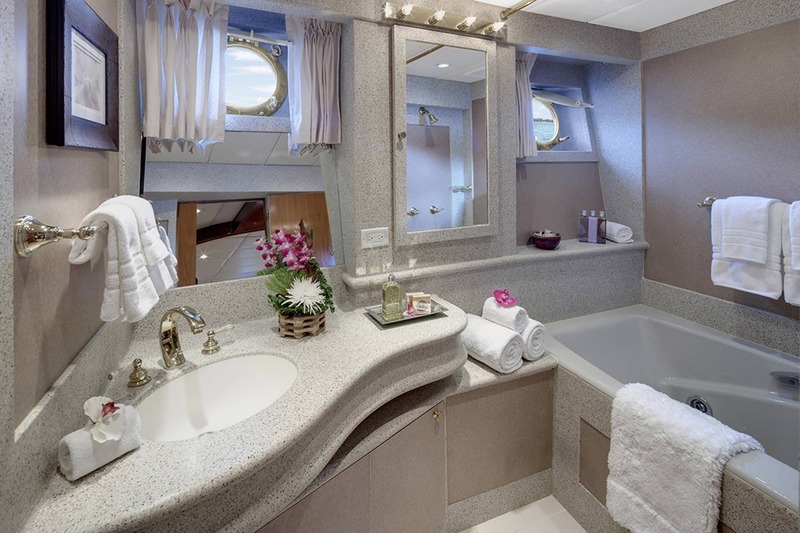 The full beam Master Stateroom features a Spa Pool tub in its ensuite bathroom. 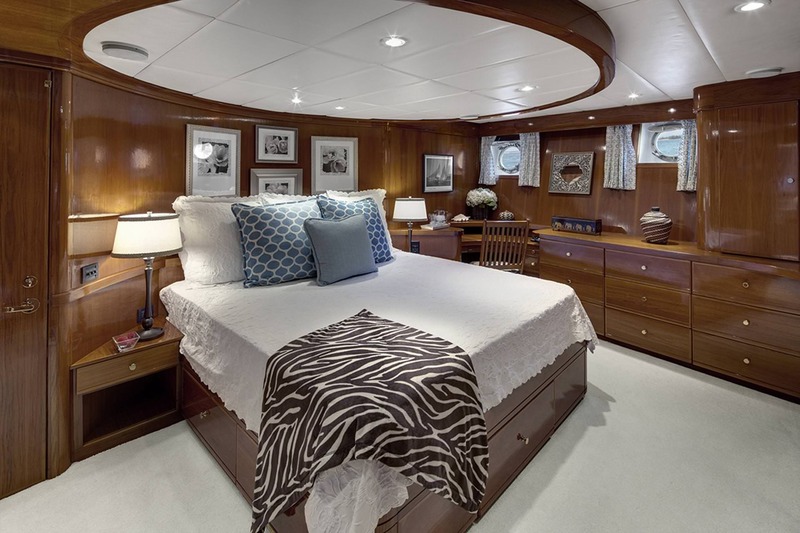 By means of a pocket door the Master Stateroom can be joined with an adjacent cabin that converts to a study forming an even more spacious Master Suite. 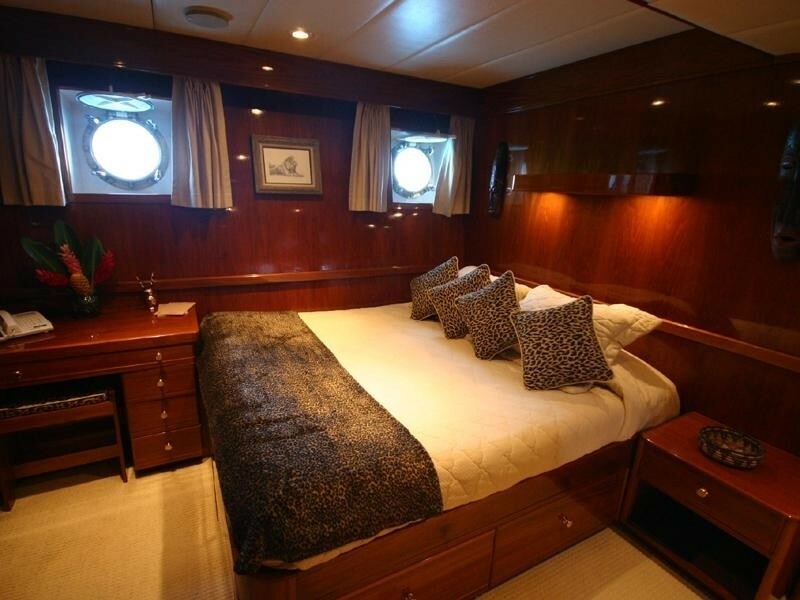 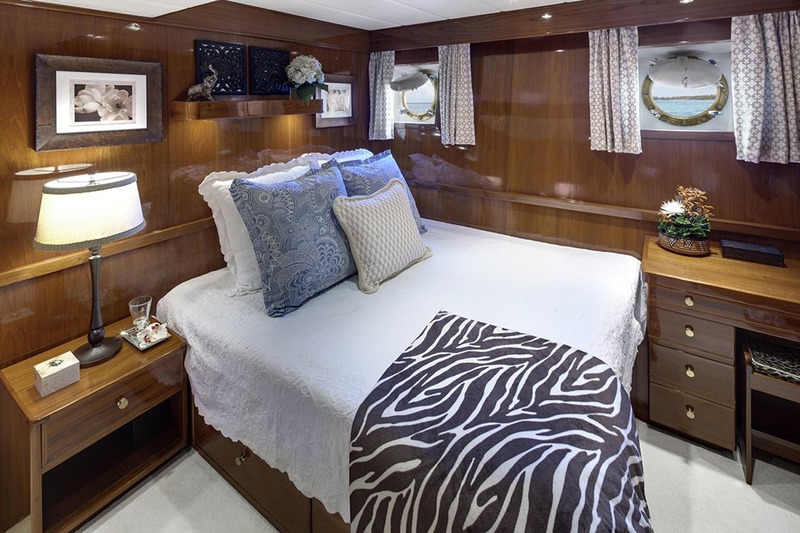 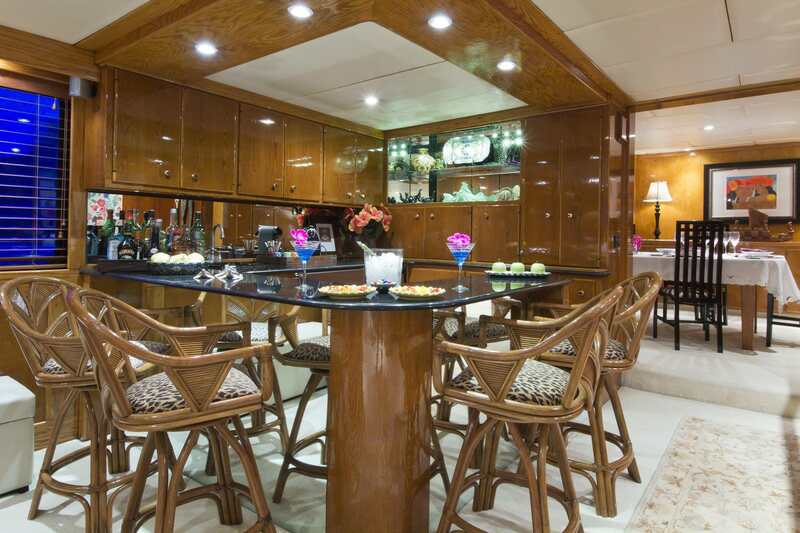 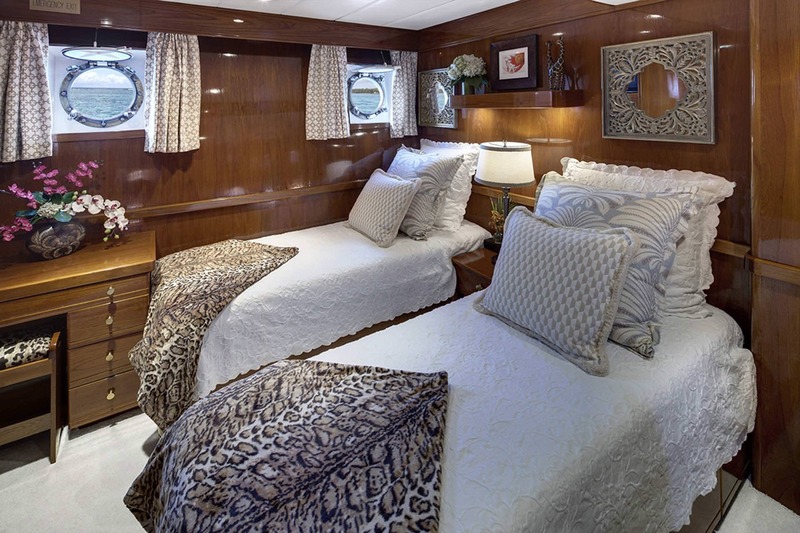 Askari's two aft most Guest Staterooms can each be made up as a Queen or a pair of Twins. 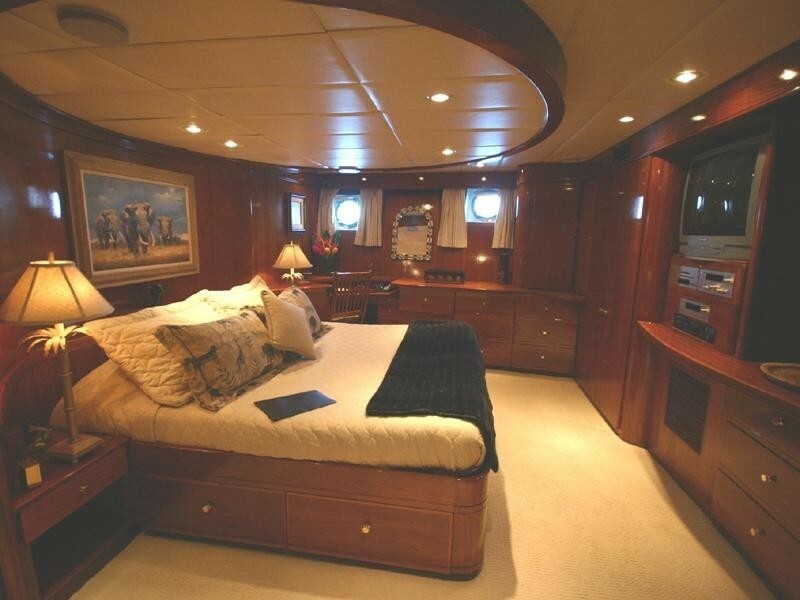 For even more flexibility, a pocket door in the hall turns these two cabins into a suite. 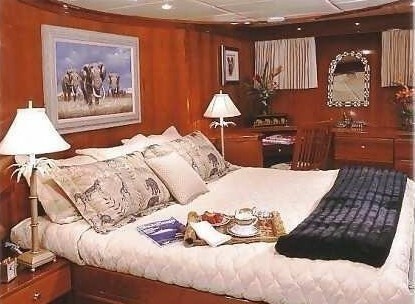 Like all Staterooms the portside Queen has its own ensuite bathroom, individual climate controls, TV, VCR, stereo, telephone and a desk. 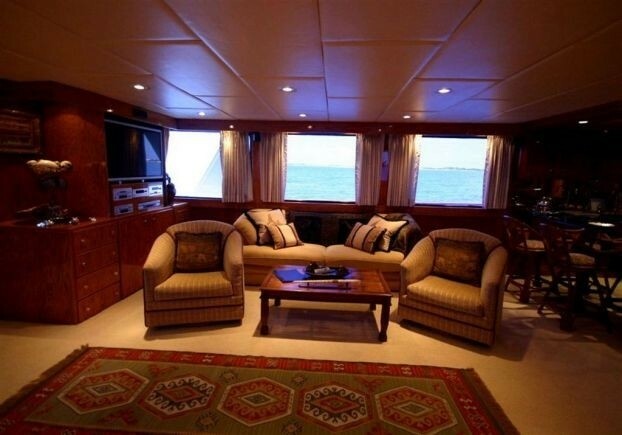 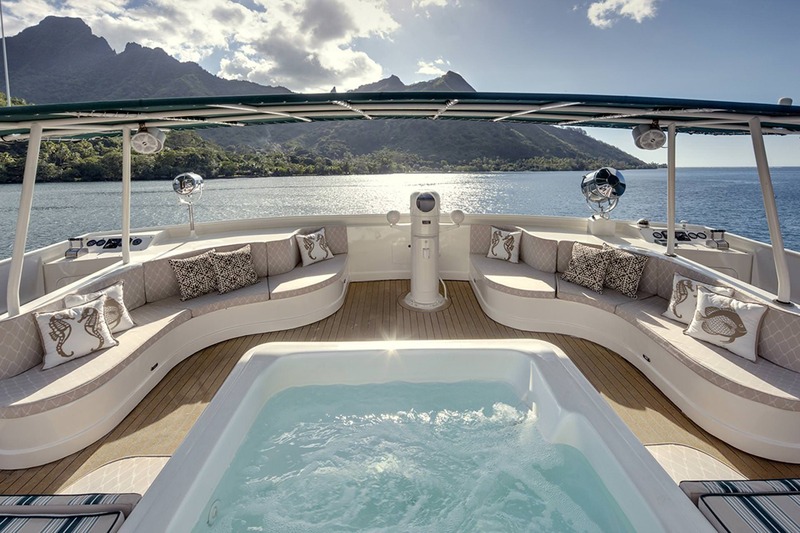 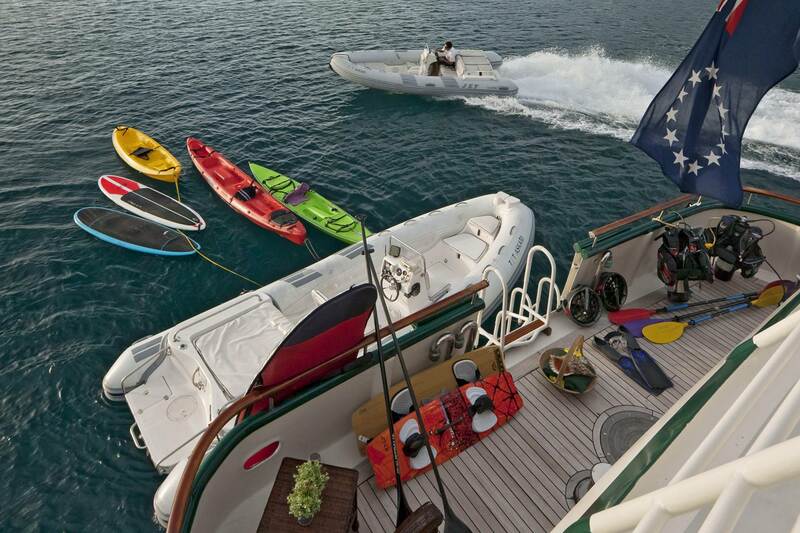 Motor yacht ASKARI is fully equipped with tenders and a large range of water toys. 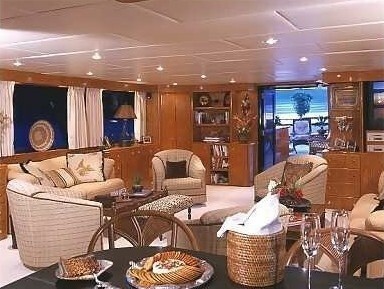 There are entertainment facilities throughtout guests areas and communication facilities onboard.